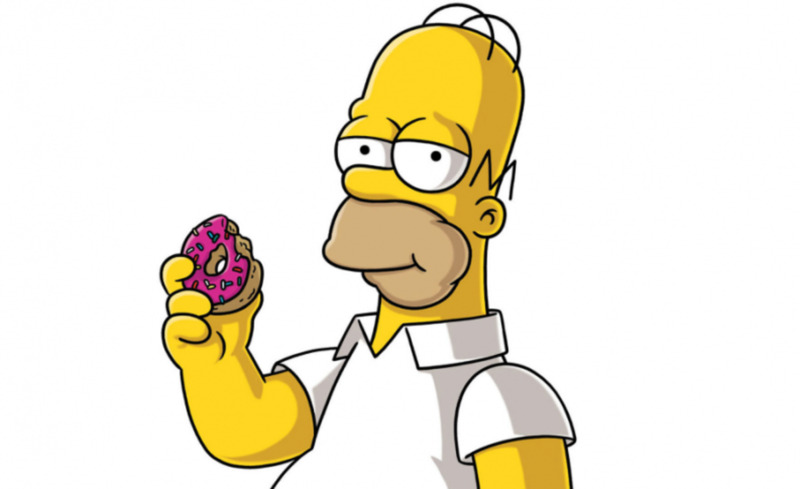 The Simpsons is now the longest running prime time program in television history. Nothing needs to be said about its amazing longevity and influence - it's legendary. One of the greatest things about the show is the massive numbers of guest stars who have appeared during the course of the show's run. You literally never know who will pop up in a Simpsons episode—film and TV stars, athletes, politicians, and rock 'n' rollers alike have all volunteered their services to the pop culture phenomenon over the years. As a dyed in the wool Simpsons geek (I've been watching the show since its inception in 1989) as well as a rock n roll junkie (30+ years and counting), I always get the biggest laugh when a musician stops by to visit Springfield's favorite dysfunctional family. Anyone who's watched The Simpsons for a while knows that Homer and company have crossed paths with an impressive roster of rock's royalty during their many years on the air, and here I present a list -- which, naturally, goes to eleven!! 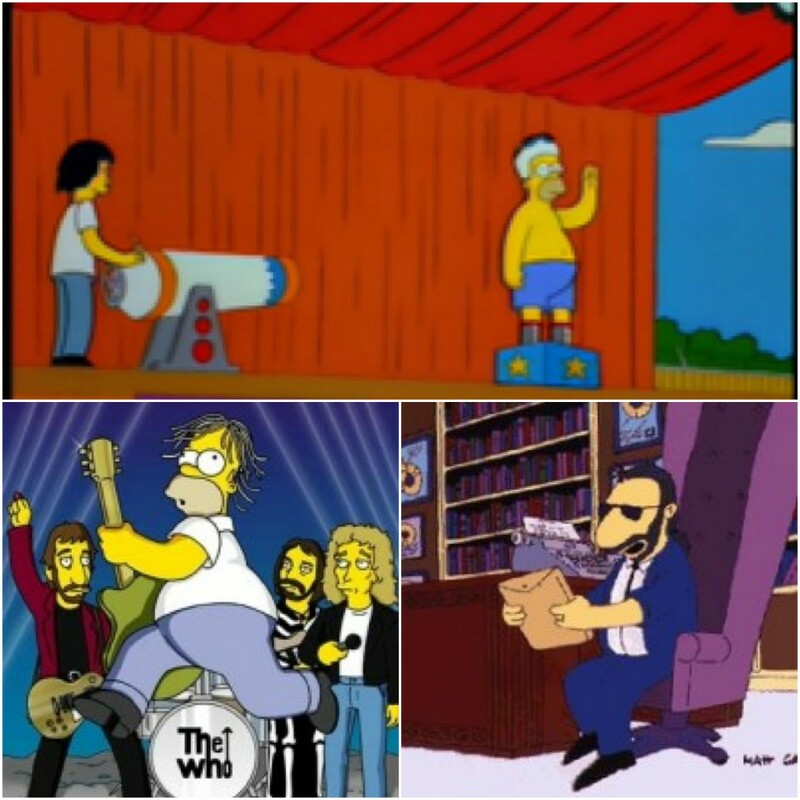 - of what I feel are the greatest rock 'n' roll moments in Simpsons history. In "Steal this Episode," Homer learns how to illegally download newly-released movies from the internet, and soon he's being pursued by the FBI for violating copyright laws. The Simpsons seek asylum in the local Swedish embassy, prompting the determined federal agents to declare, "there's only one sure-fire way to get fugitives out of a foreign building ... blasting Death Metal!" A flatbed truck then drives up with heavy metal legends Judas Priest on the back, who perform a parody of their classic track "Breaking the Law" with the lyrics changed to "Respecting the law, copyright law!" Homer's Swedish host begins throwing the horns and banging his head, explaining to the Simpsons, "Swedes love death metal! It reminds us of death!" 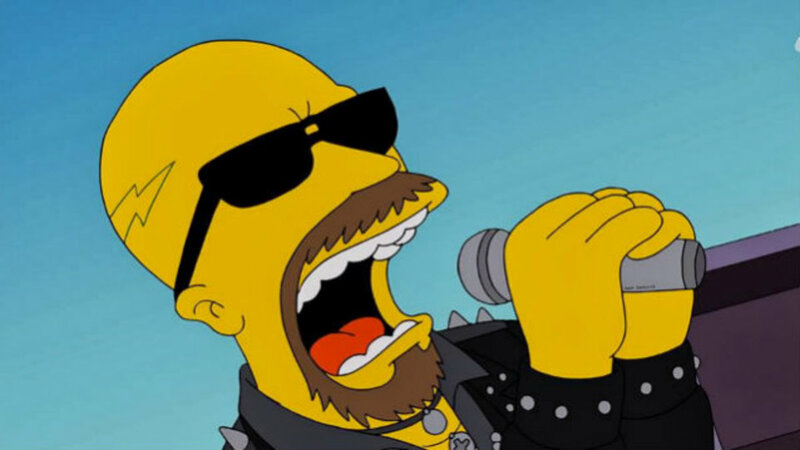 Fun fact: Judas Priest fans were so annoyed that the band was erroneously classified as "death metal" that the show responded with a disclaimer of sorts the following week, when Bart kicked off the episode by writing "Judas Priest is not Death Metal" as the opening "chalkboard gag." 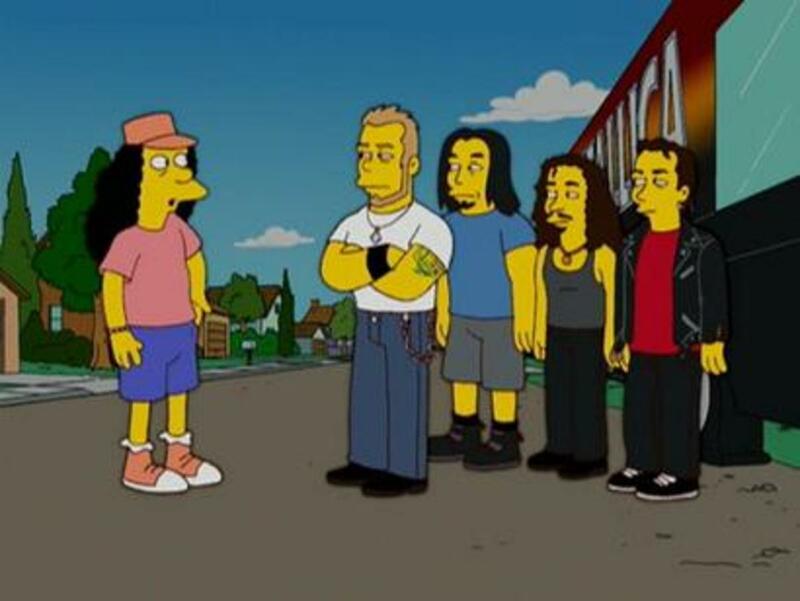 The masters of Thrash Metal made a brief stop in Springfield in the 2006 episode "The Mook, the Chef, the Wife, and Her Homer," when school-bus driver Otto discovers Metallica's tour bus broken down by the side of the road. He offers the band a lift but is told by vocalist James Hetfield that "We don't accept rides from strangers." Bart then drives off with Otto's school bus, and the Metallica men accept a ride in the back of Hans Moleman's pickup truck, proclaiming Hans to be "a real fan." Hans reveals that he "used to sleep with Lars' grandmother," and the band ride off into the distance blasting their classic "Master of Puppets," leaving an embarrassed Otto stranded on the side of the road. 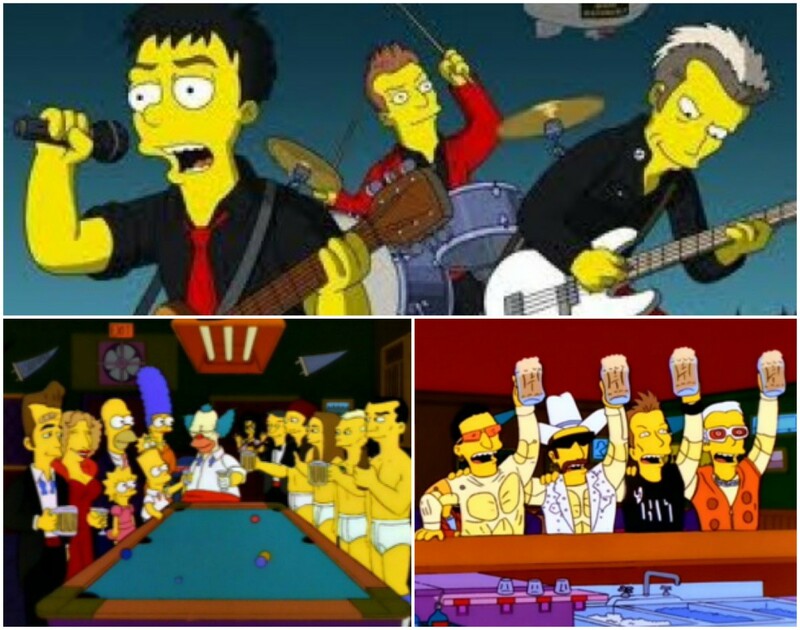 In the opening sequence of "The Simpsons Movie," pop-punkers Green Day are performing a Duff Beer-sponsored concert aboard a floating barge on Lake Springfield. The townspeople are pleased with the band's show until Billie Joe Armstrong stops the music and asks if they could have a brief moment to "talk about the environment," which results in an angry barrage of rocks and garbage from the crowd. As the band tries to avoid the flying debris, the pollution in the lake eats away at the band's floating stage till it tips vertically and begins to sink. In an obvious nod to "Titanic," the boys pull out violins ("Gentlemen, it's been an honor to play with you tonight ") and play sad music till they - and the barge - disappear beneath the waves. Later, at a memorial service at the First Church of Springfield, Rev. Lovejoy eulogizes Green Day as "The latest rock band to die in our town," while the organist plays a "Funeral Version" of their hit " American Idiot." In "Krusty Gets Kancelled," Krusty the Clown's long running kids' show gets the axe in favor of a newer, hipper show featuring ventriloquist Arthur Crandall and his dummy, Gabbo, whose catch phrase "I'm a baaaaaad widdle boy!" becomes an overnight sensation. Bart and Lisa vow to help relaunch Krusty's career and organize a comeback TV special loaded with guest appearances by Krusty's famous friends, including Johnny Carson, Hugh Hefner, Bette Midler, and the Red Hot Chili Peppers. 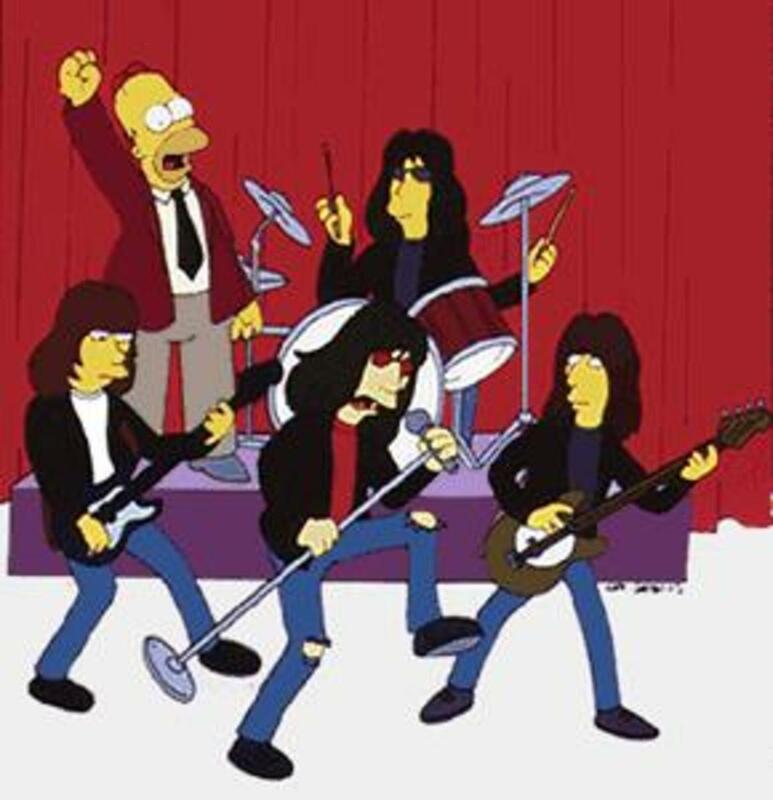 In a parody of an event that actually happened to the Doors backstage on "The Ed Sullivan Show," Krusty suggests that the RHCP's change the lyrics to their song "Give It Away" to make it more family friendly. The band resists the idea at first ("No way, man! Our lyrics are our children! "), till they hear Krusty's suggested replacement lyrics ("What you got, you know it makes me wanna hug and kiss you. "), and reconsider, saying, "Hey, that's much better." "Yeah, everyone can enjoy that." In "A Tale of Two Springfields," the town is split into two halves ("Olde Springfield" and "New Springfield") following a feud sparked by local telephone area-code changes. The rich folks occupy Olde Springfield, whilst Homer and family remain in the poorer New Springfield section. The two halves are separated by a huge Berlin Wall of garbage that runs through the center of town. When Olde Springfield invites legendary rockers The Who to play a concert on "their" side of the wall, Homer hijacks the band and convinces them to perform in New Springfield instead. The Who's high-volume sonic attack soon destroys the barrier keeping the townspeople apart, reuniting Springfield with the power of rock and roll! In "Homerpalooza," Homer stumbles into a job with the freak show that travels with the "Hullabalooza" alternative-rock festival. His "act" consists of getting cannonballs shot into his stomach every night, much to the delight of the Generation X audience members. (Kid #1: "Oh, the cannonball guy. He's cool." Kid #2: "Are you being sarcastic?" Kid #1: "(pause) ...I don't even know anymore!") While on the road, he rubs elbows with '90s rock royalty like the Smashing Pumpkins, Cypress Hill, and Sonic Youth (who also provide a typically atonal, droning version of the show's theme song over the end credits), as well as '70s idol Peter Frampton. Homer loves the rock-star road life, but eventually has to leave the tour early due to physical damage caused by the cannonballs constantly smashing into his stomach. My favorite part of this episode: Homer's culture shock when he visits a record store ("Suicide Notes," formerly "Good Vibrations") for the first time in years and realizes that all of his favorite bands now reside in the "Oldies" section. #4 - The Beatles Reunite? 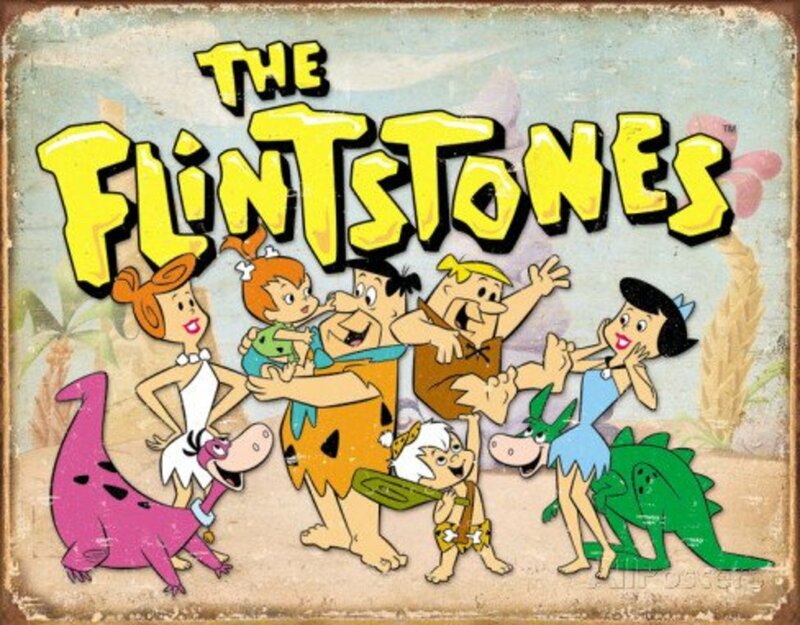 ..well, not quite, but in the early 90s, "The Simpsons" was quite possibly the only television program that could boast guest appearances by all three of the then-surviving Beatles - even if they did all appear in separate episodes. In "Lisa the Vegetarian," Paul McCartney (and his then-wife, Linda) stopped by to give Lisa some advice about her new dietary choices. We also learn that Paul and Linda are old friends of Apu's, whom they met during the Beatles' famous trip to India. Meanwhile, Ringo Starr was knocked out by a portrait of him painted by Marge in "Brush With Greatness," and in "Homer's Barbershop Quartet," George Harrison has two encounters with Homer's band "The Be Sharps," first at a Grammy Awards party in the '80s and then in the present day, when he is unimpressed by their impromptu concert on the roof of Moe's Tavern - "It's been done," he mutters before driving away. 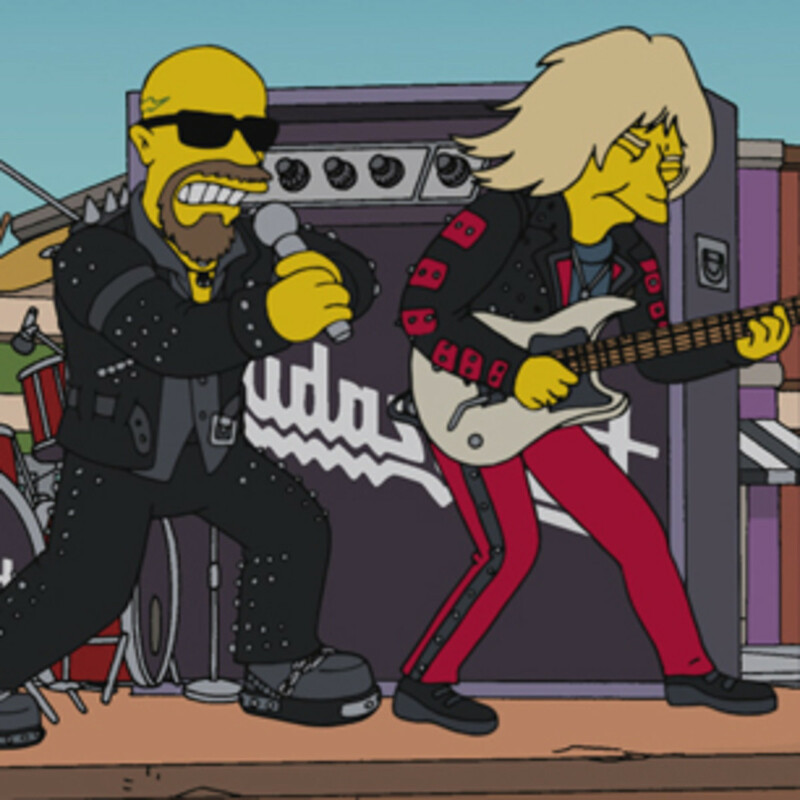 When fictitious rockers Spinal Tap released their "comeback" album, Break Like The Wind, in 1992, it was a no-brainer that the band would appear on "The Simpsons" because Harry Shearer, who portrays Tap bassist Derek Smalls, is also a member of the show's voice cast. In "The Otto Show," Bart attends his first-ever heavy metal concert when Spinal Tap's tour stops in Springfield. 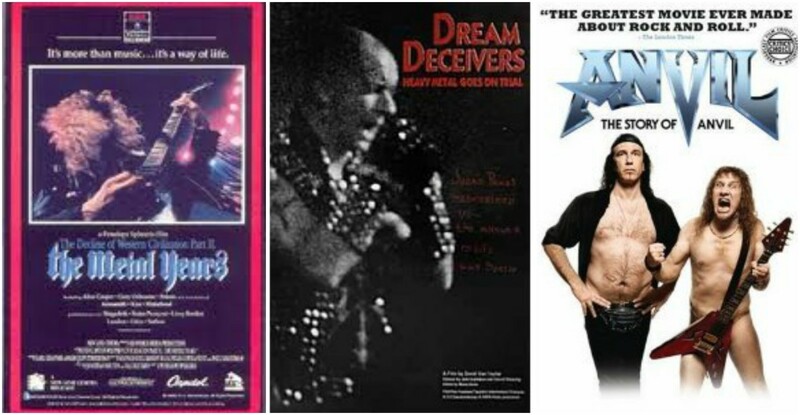 The concert, as usual for the Tap, is plagued with errors and disasters (the band's huge Devil stage prop refuses to fully inflate, guitarist Nigel Tufnel is blinded by a laser effect, and a wind machine on stage nearly blows David St. Hubbins' wig off), causing the frustrated band members to exit the stage prematurely ("Good night, Springton...there will be no encore!") and inciting an audience riot. 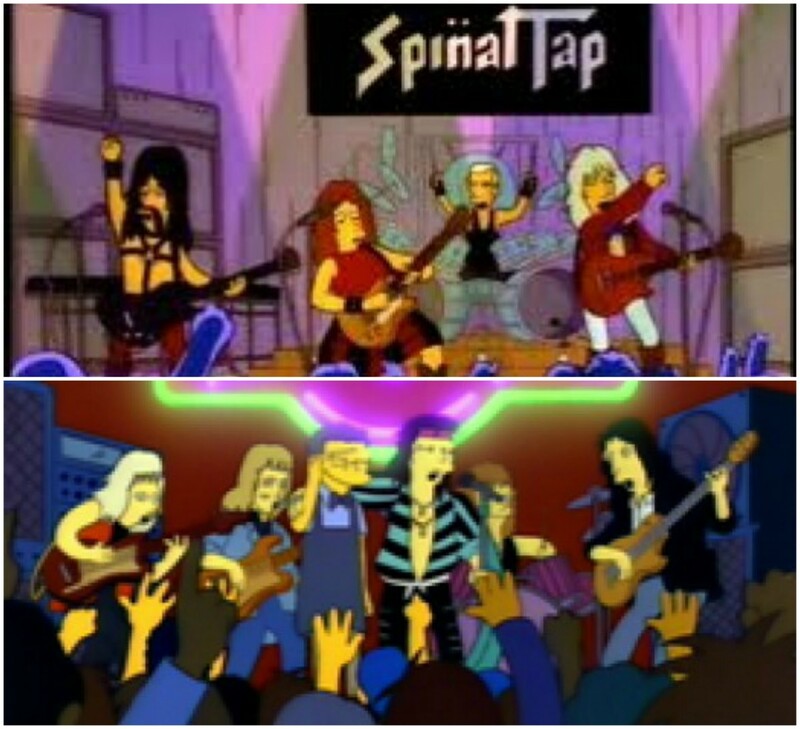 Later in the episode, the Spinal Tap tour bus is run off the road by Otto's Springfield Elementary school bus, goes over a cliff and explodes. In "Flaming Moe," Moe steals the recipe for Homer's tasty homemade alcoholic concoction and claims it as his own creation. It quickly becomes a massive hit which turns Moe's Tavern into Springfield's latest trendy night spot. Guests pack the bar night after night to sample a "Flaming Moe," including the members of Aerosmith, whom Moe coaxes to the tavern's stage to perform by promising them "free pickled eggs!" While the rest of the band jams their classic "Walk This Way" for the ecstatic crowd, we learn that Miss Krabappel has a thing for rock 'n' roll drummers, as she's got Joey Kramer cornered in the band's tour bus. Burns: "Have the Rolling Stones killed." Smithers: "But sir, those aren't the..."
Burns: "DO AS I SAY!" Dozens of other rock 'n' rollers have appeared on "The Simpsons" over the years, and new ones turn up all the time. 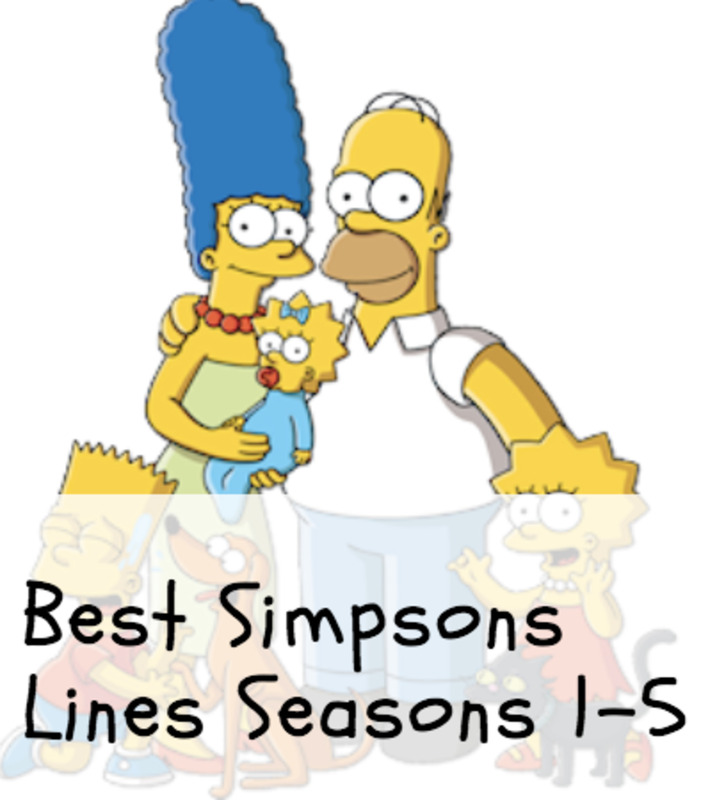 Obviously that means there are countless other classic episodes featuring moments that could've made it onto this list, including appearances by luminaries such as Sting, Ted Nugent, Mick Jagger and Keith Richards, Linda Ronstadt, the Moody Blues, and many more...but as far as this rock 'n roll Simpsons junkie is concened, these will stand as my all time favorites... unless Iron Maiden or KISS suddenly decide to make an appearance on the show. It hasn't happened yet, but hope springs eternal! The Simpsons are great about family. 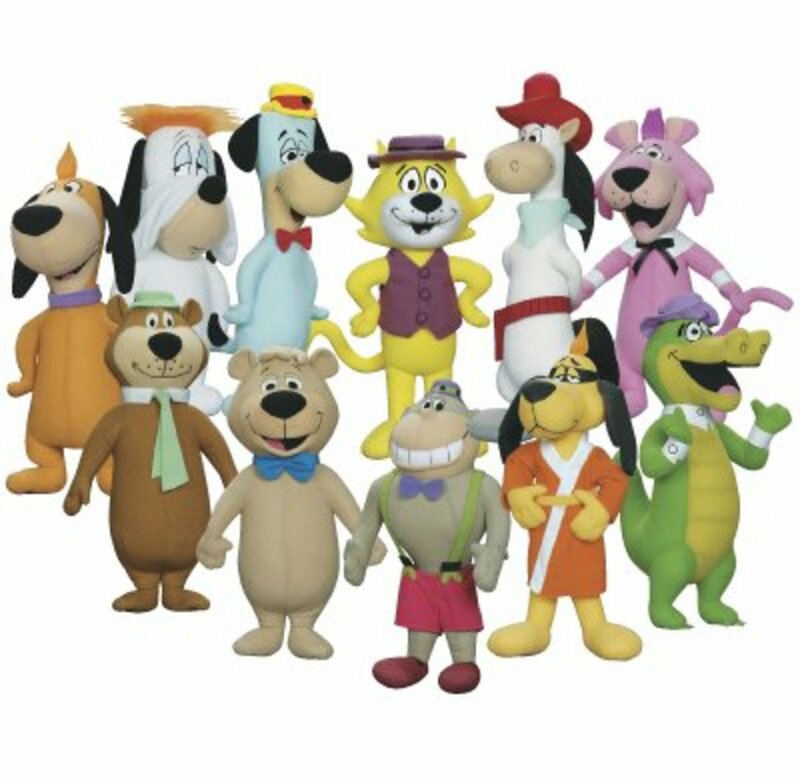 I used to watch them all the time. Hi LTM - I agree, the Simpsons is not always "family viewing." Thankfully a lot of the jokes sail right over my kids' heads, but things like stuff falling on Homer's head, Homer getting hit in the crotch, etc. is universal. 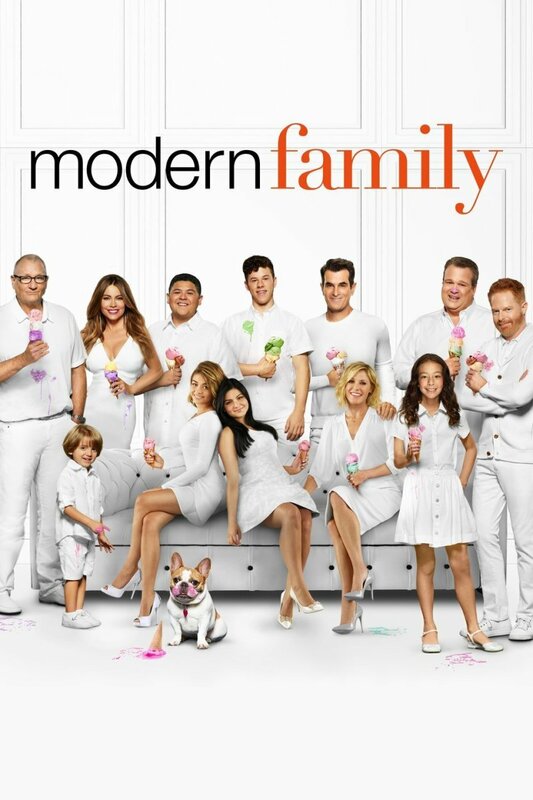 My kids are now 10 and almost 6, and I do let them watch the show (as long as I'm watching it with them so I can supervise)... and if the story line is not, shall we say, "kid friendly," then I turn it off and tell them "Sorry, you're not ready for that one yet." I have long been of the opinion that the Simpson's is not really ideal viewing for young children. There are so-o-o many examples of inappropriate behaviour in every episode. But my husband loves it. Chuckles all the time. So I'd be busy keeping whichever child was very young at the time distracted at a distance from the tv, listening to him laughing. Good thing he still finds the re-runs amusing. This time around, I get to watch and laugh with him. Cool, man, glad you enjoyed it. Rock on! Mr. Burns:"Ah, the Beatles. I remember their out of tune caterwauling on the old Sullivan Show"
Glad you liked it SuburbanGirl! Thanks for stoppin' by. Love it! Spinal Tap and the Simpsons - genius! Super hub!!! WOW! Hi Brian! Yeah, Family Guy seems to have a lock on the KISS members for some reason... it would be cool for them to turn up on the Simpsons someday though. I'm a fanboy, I can dream. Another great Hub! 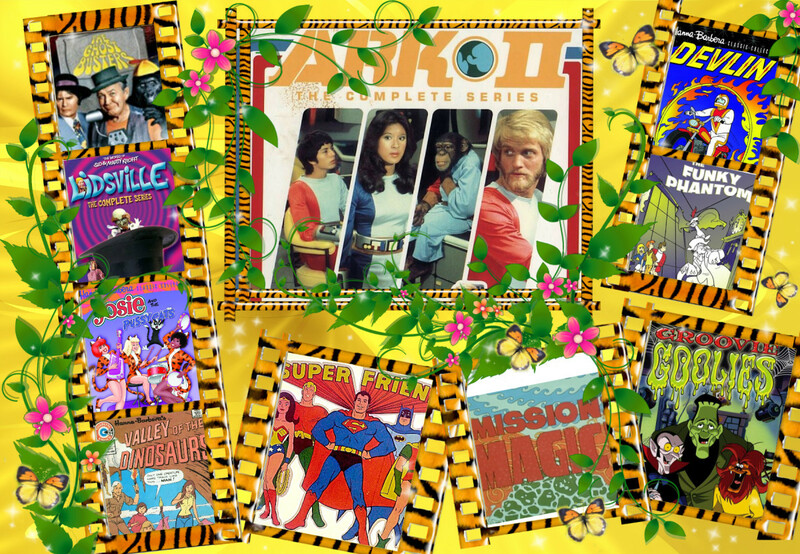 The Simpsons had a great impact on my in my childhood, and I remember most of these. I used to have Metallica in the back of Moleman's pickup truck as my PC's wallpaper. Good times. Thanx Dee! Glad to have you aboard! Lol!! I enjoyed this SO much! I remember most of these. Great hub, now since I found you, now I need to read your other hubs. Thanx for stoppin' by James! Glad you enjoyed it.